Hola, y’all! Grace here! See how I combined a Spanish word and a southern phrase into one sentence? I’m so cool! Scratch that. I’m actually really, really hot right now. As you hopefully already got from the title of this post. I got such an overwhelming amount of enthusiasm from my last Travels With Grace series, in which I went to Washington State, that I decided to do the exact same thing for Texas! Instead of staying in one town, AGs in Alaska and I will be traveling to several parts of the state. We just got into Dallas today after a total of eight hours in a plane. (AGs in Alaska hasn’t slept since the day before yesterday, but she’s wide awake. It’s beyond me.) 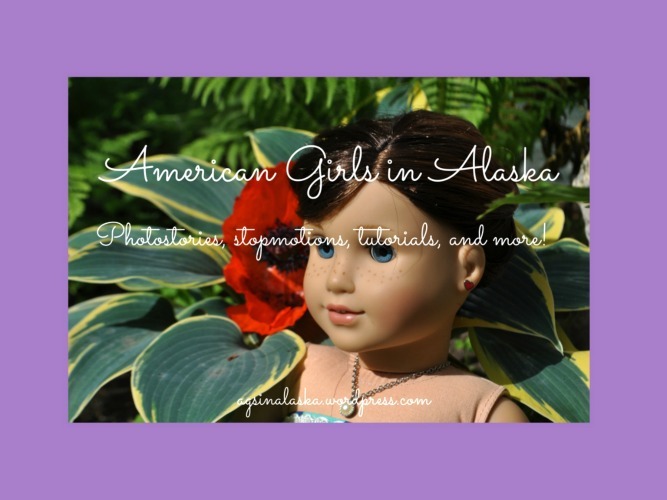 I’m going to keep the other cities a surprise for now, but until then, you can view my adorableness in these epic pictures AGs in Alaska took! So, those photos were taken in the backyard of the house we’re staying in. I hope y’all liked them! One more quick announcement about this series: unlike last time, where I was in all of the photoshoots/stories, I am going to be more like a tour guide this time, and post lots of pictures of what we do. There will be more photoshoots of me, I promise, but also lots of pictures of the cool stuff we go do. From AGs in Alaska: I sincerely apologize for the no posting on Monday, I was super busy getting ready for vacation! Grace here! IT’S THE LAST DAY OF MY TRAVEL BLOG!!!!!! WAAAAAHHHHHH!!!!! I have this sweet post for you in which I say goodbye to my cousins. “Bye, guys,” I say sadly to my cousins. They are leaving to go home today (they live in a different area of Washington, and we came to my aunt’s house to meet up this week). I will also be leaving tomorrow to go back to Alaska. “We’re really going to miss you,” Cara tells me. “I’m going to miss you too, Care-Bear,” I say, giving her a hug. She nods, her eyes watering. Okie-dokie, that’s all for Travels With Grace for now! I have had so much fun traveling and hanging out with my cousins, and I hope you enjoyed meeting them! HI GUYSSSSSSS! WHERE WAS I YESTERDAY, YOU ARE WONDERING????? My mom said I needed to not use the computer for a couple of days, so that’s why. And on Monday I completely forgot until 11 PM was run over by a herd of elephants and was in the hospital!!!!! IKR, CRAZY!!! ANYwho, here is the fifth installement of Grace’s travel series! Enjoy! Ignore the grainy iPad pictures. I did not bring the right camera charger with me on my vacay. Lea is in the hospital after having broken her leg falling out of the crabapple tree. Lea points to her lower leg, which is wrapped in a white cast. “Yeah, we’re all super sorry you got hurt,” Grace says sweetly. “Do you want to try walking?” I ask my injured cousin. Cara and I help Grace to her feet. “Why don’t you try walking down the hall?” I suggest. It takes her a little practice, but Lea hops down the hall on her shiny silver crutches. Okay, that’s all! Sorry, it’s kind of short. The very last part will post on Monday, and then I have a super fun post featuring a SPECIAL GUEST next Thursday! You guys will L-O-V-E it. See ya then! Hey, little macarons! Everyone keeps calling people food names. And macarons are French, so . . .
Mes cousines and I are chilling in the backyard. Cara is doing gymnastics. She’s so talented!! McKenna would really get along with her. We’re about halfway through the visit, which is super sad. 😦 Wah. Dun dun dun. Left you at a cliffhanger, huh? And you have to wait a whole entire week for Part #5, because on Thursday is our Q&A answers! Meaning . . . you only have a few days left to ask questions. So get to it! See y’all next week!